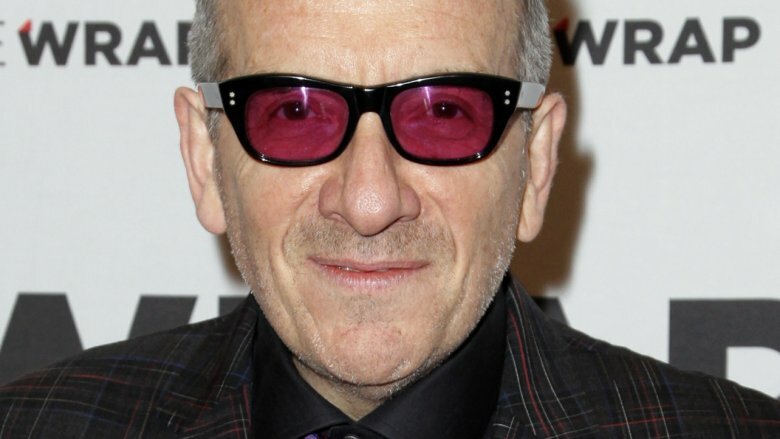 Iconic singer Elvis Costello just opened up about his recent cancer diagnosis. Early on Friday, July 6, 2018, Costello shared a lengthy message on his Facebook page, telling his fans that he'd been battling cancer. "Six weeks ago my specialist called me and said, 'You should start playing the Lotto.' He had rarely, if ever, seen such a small but very aggressive cancerous malignancy that could be defeated by a single surgery," Costello wrote. Noting that the typical recovery time for the surgery he needed was about three to four weeks, he said he was "elated" that he'd be able to recover in time to go on with his scheduled European tour this summer. However, the 63-year-old soon came to realize that the demands of his job — "playing 90-minute to 2-hour plus performances on a nightly basis" — made it difficult for him to fully recover. So, in an effort to focus on his health, he decided to cancel the rest of his tour. "The spirit has been more than willing but I have to now accept that it is going to take longer than I would have wished for me to recover my full strength," he stated. "Therefore, I must reluctantly cancel all the remaining engagements of this tour." Knowing fans may be disappointed at the tour's cancelation — and worried about the singer's health — Costello offered some good news: He and his band The Imposters will be releasing a new record in October 2018. Costello also offered his fans some advice: "Take very good care of your loved ones but Gentleman, do talk to you friends — you'll find you are not alone — seek your doctor's advice if you are in doubt or when it is timely and act as swiftly as you may in these matters. It may save your life. Believe me, it is better than playing roulette." In past months, other celebrities have come forward with news of their own cancer battles — or the struggles of loved ones. In late February 2018, Stephen Fry shared that he'd been diagnosed with prostate cancer. "I know it's an old cliché, but you don't think it's going to happen to you. Cancer is something that happens to other people," he said at the time, adding, "But for the moment, I'm fit and well and happy. Real Housewives star NeNe Leakes also opened up about her husband's health, telling her fans that he'd been diagnosed with cancer. Posting a photo of her husband in a doctor's office on social media, she wrote, "Our New Normal and the fight begins."